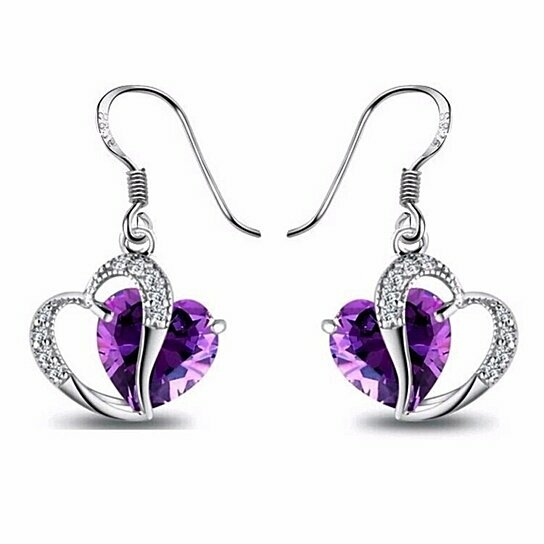 These beautiful, elegant, sparkling amethyst heart droplet crystal earrings add an extra special touch to any everyday outfit. Isn't it time to spoil yourself or give your heart to someone you know. They also make a wonderful gift for an anniversary, birthday, graduation, valentines day or just because.